Hines Dentistry has the experience, training, and knowledge your family needs. We provide high quality care and do our utmost to ensure a positive experience. Please read our 5 Star Reviews. Our dentist and team are pleased to offer quality dentistry for the whole family. We provide general and family dentistry to accomplish this. General and family dentistry includes a number of dental services whose purpose is to help you and your family reach and keep optimal dental health for a lifetime. We encourage each of our patients to visit our office at least once every six months for a routine dental cleaning and exam. During these appointments, Dr. Drew Hines can make sure that your smile is healthy. If your dental health requires it, you may need to visit our office more often. For those who are missing one or more permanent teeth, we may recommend a dental implant. These lasting, stable dental restorations can replace one, several or an entire arch of teeth. 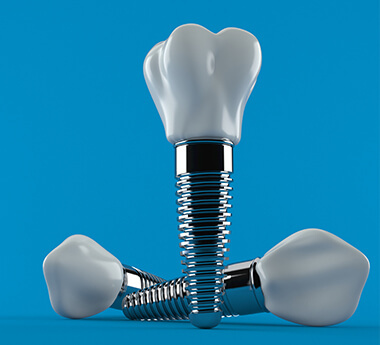 Dental implants are made up of a dental implant post, an abutment and a restoration. The dental implant post is designed to fuse with your jawbone, so the final restoration can look and function just like a natural tooth. Replacing a lost tooth is important, as it can restore the health, function and beauty of your smile. Dental implants are a great choice because with proper care, they can last a lifetime. Have you ever wished for a smile that is whiter, brighter and more attractive? Teeth whitening may be just what you need to reach your goals. At our office, we provide custom whitening trays. 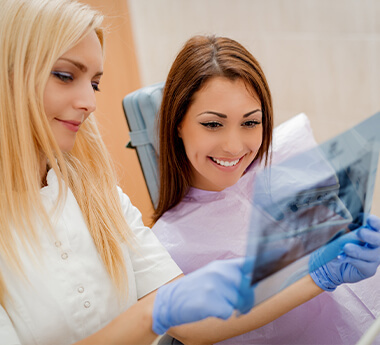 These trays are worn according to our instructions so that you can reach the smile you desire. Treatment time may vary based on the level of staining and desired results. Professional teeth whitening can lighten the shade of your teeth more effectively than over-the-counter alternatives. Best of all, after treatment, you can smile and laugh with confidence and pride. Ask our dentist if teeth whitening is right for you.